We hear it everywhere “we are one.” Do we really believe it? I personally struggle with my own demons of stereotyping, pride, fear and narrow mindedness. I force myself to think of me and everything else that surrounds me as a global matter. But I have to keep reminding myself of the type of person I want to be and the kind of example I want to be for my son. Not easy. As a kid I would fear hearing anything that had to do with news. Perhaps all the catastrophes, political affairs, personal interests, unfairness, is what has made me be so scared. As I got older I realized that I had to be informed on relevant issues. Reluctantly, I watch and read “some” news. I hear a lot about immigration and of course being a Latina, I could not turn my back on these issues. The first time I entered the United States, I did it with my green card. Do you think racist or prejudiced people know or care about that? No, they look only at my last name. Thankfully my wonderful father did the work it took to make sure I did not have the need to enter this country illegally. This means, I did not have to suffer what people trying to survive around the world have suffered for centuries. People around the world have been displaced countless times. Also, in the United States think of the discrimination that in past decades- Irish, Chinese, Blacks, and Native American have been through, not to mention being called the Okies. Well, now it is the Hispanics’ turn – myself included. The Spaniards came to America. They “discovered” America. My answer to that is no need to discover us. We knew we were here. The conquistadors killed Native people. They took ships loaded with gold back to Spain. They traded mirrors for gold. They destroyed writings, and a culture. If that had not happened, I would most likely live in my hometown and my last name would not be Garcia, but most likely a Purepecha name. I feel a right to write about all this, because it hits home. As a Mexican, I see and hear all the trouble that immigrants from Central America go through in my own country. This is a shame. I have heard all kinds of criticism because in Mexico there is a large Argentinean, Chinese, Centro-American community. Well, we are the least indicated to say a word or mistreat anybody. And I don’t even want to get started on the terrible way society has treated and continues to treat Natives in my own country. This is a whole other topic. Yes, the world would be chaotic if we all went back to where we came from. The United States of America would be filled with only Native Americans. The Mayans and Aztecs would have emerged as the great civilizations they were. The rest of the European countries that immigrated to America and that now call it their own would have stayed where they originated. But why are we so territorial? There is a sense of ownership that people around the world acquire, but whose world is this? At the same time, we contradict ourselves in so many ways. We need to practice what we preach. When will we learn as a civilization that the world belongs to all of us, and that it is also our obligation to make it better. Copyright © 2011 Aurora Garcia. All rights reserved. 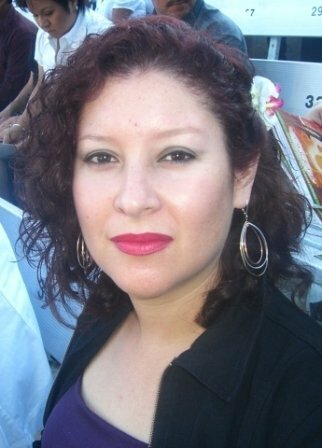 ABOUT THE AUTHOR: Aurora Garcia is a nonfiction writer and essayist who was born in La Piedad, Michoacan, Mexico. She moved to California in 1989, when she was 14 years old. This is about the time when she began writing, but throughout her teen and young adult years she kept her writing to herself for fear of being exposed. Although fluent in English and Spanish she instinctively writes in Spanish, as it is her native language. Aurora lives with her husband and 12 year-old son. She loves life, nature, art, music, and diversity, admiring the contrasts and richness of her homeland culture, as well as the beautiful language that Spanish is. Aurora believes her passion for writing was inherited from her father who wrote songs and poetry.